How glad am I the weather decided to sort itself out for us to get on the gorgeous beach at Oxwich Bay! 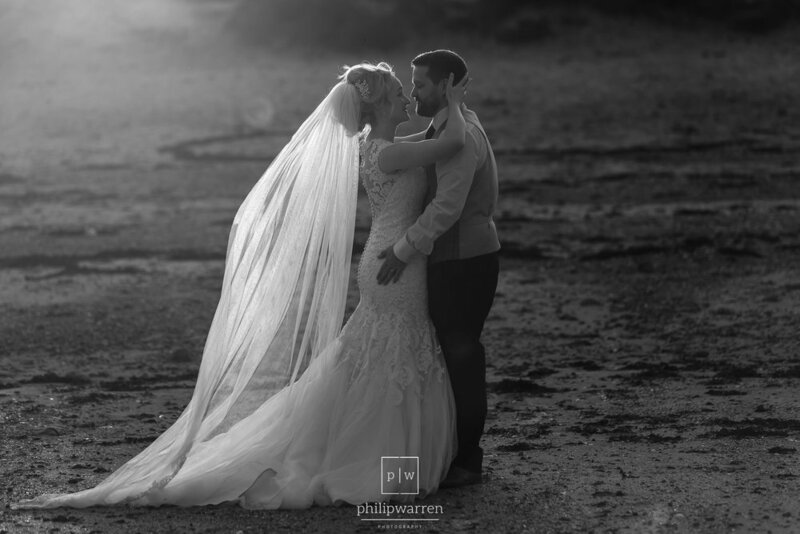 Hope you enjoy the teasers of Miriam and Jonny's big day at Oxwich Bay Hotel. Miriam and Jonny have been together for 12 years this year. They also got engaged on their 10th anniversary on a beach at Tenby. 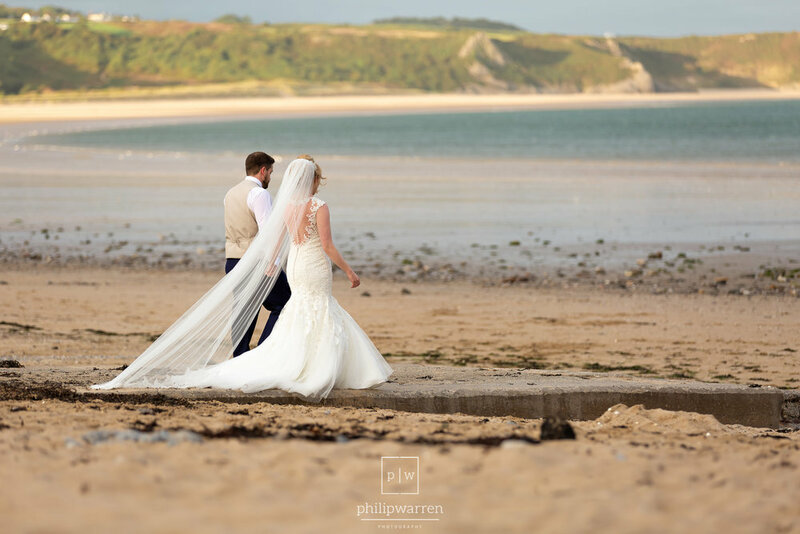 There's definitely a theme with this couple and beaches having out outside their wedding venue at Oxwich Bay Hotel. 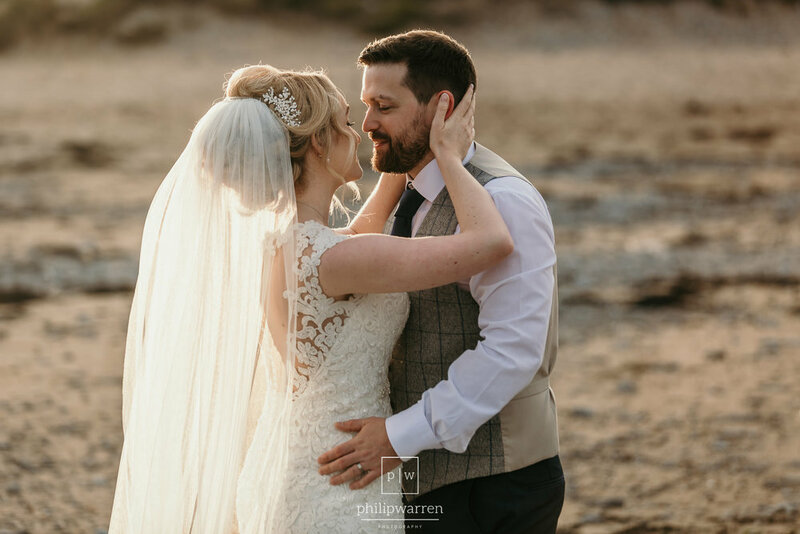 Miriam, and Jonathan both got ready at Oxwich Bay Hotel. Miriam occupied the entire bottom room which overlooks the gardens in front of the hotel. Jonathan chose to get ready with his two best men in one of the gorgeous rooms, with incredible views. Which was great as I was able to photograph them both getting ready, without them having the additonal expense of a second photographer. The room which Miriam chose to get ready in was a large room, which they needed due to large bridal party getting ready, plus hair and make-up artists. The only issue with the room has incredibly large windows which overlooked the entrance to the hotel. Which meant they could not get dressed the because of the fear that they break tradition of the groom not seeing the bride. They instead dressed in the nearby cottages before walking up to the hotel for the ceremony. 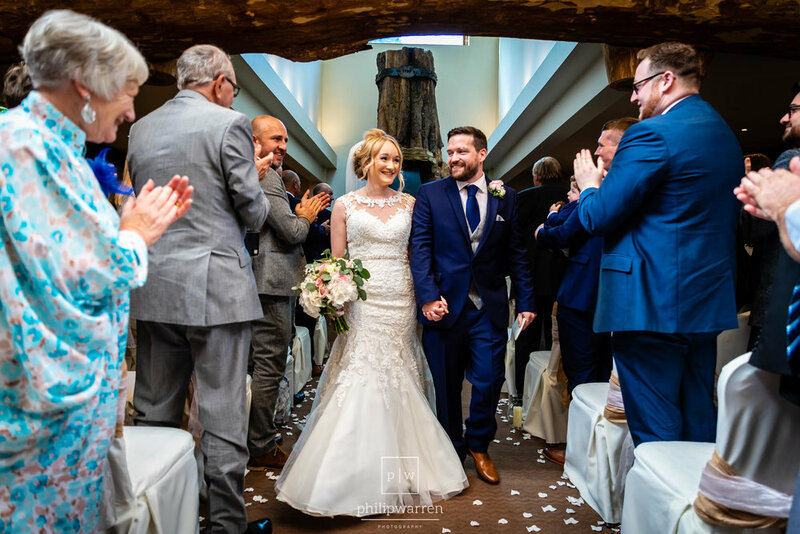 The ceremony was held in the gorgeous Chestnut Room in Oxwich Bay hotel. The ceremony has some cinredible features, including a huge wooden beam of the trunk of a tree. This repeated at the back wall of the room, reminded me of something out of Peter Pan's lost boys hideout. The ceremony started with Jonathan looking a little nervous as Miriam entered. Pretty much like every groom, including myself when I got married. The ceremony went without a hitch and concluded with a nice story from the registrar. It was then time for the happy couple to walk out and to make their way outside for the traditional confetti photo. We quickly ran through the group photos, including a large photo of the entire wedding party from the upstairs window of one of the rooms in the hotel. Thanks to the staff for the keys to the room, lucky no one had checked in yet! After some candid shots I rushed up to the marque to take photos of the setup before all the guests get called up. The gower is reknown worldwide for having some of the best beaches in the world, and one of the best is Oxwich Bay. More often than not I take the bride and groom away for photos during summer months after the food and speeches. There are many reasons for this. The light is often softer and more flattering and lower in the sky which makes the photos so much nicer! Another reason is the happy couple tend to be more relaxed. Having got (all bar the first dance) formalities out of the way. We made our way down to the beach, along with the videographer to get some shots (and drone shots). Keep in mind this is a couple that "don't like having photos taken". You could never tell. Pretty much as soon we finished on the beach they were called in to the marquee to cut the cake and first dance. The party soon kicked off with a slight break for the buffet which did not stop the fun. I finished with my tradition of my "wedding present" of buying shots for the happy couple. Not any old shots, but they have to pick each others poison. Brilliant. Slideshow time! Please enjoy a quick look at their entire wedding day from start to finish set to their first dance. 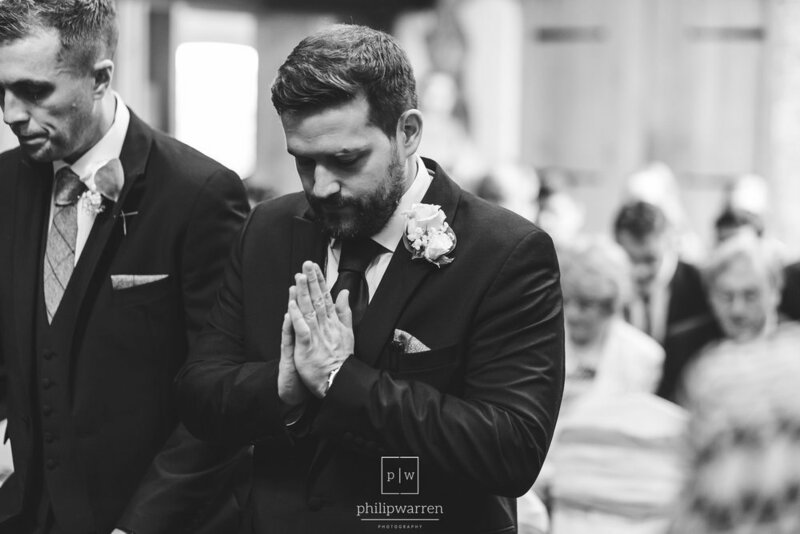 Getting married at Oxwich Bay Hotel and looking for a wedding photographer? Please get in touch as I would love to shoot more weddings at this gorgeous venue and to get back onto the beach again!